AG churches mobilize to rescue, relieve, and restore Harvey-stricken Houston. 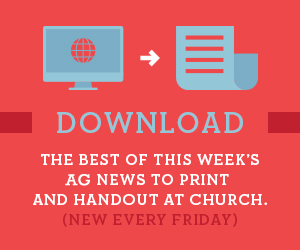 AG leaders in South Texas share various ways churches can pray for those affected by historic flooding. South Texas District Women’s Ministries Director Vanessa Hall reaches out beyond the traditional woman in the pew.